Screen flashes on red/pink and goes off. Picture stays on in red and slowly be come normal. Picture flickering with dim display. Picture flickering on and off. has reached the end of the life and all you need to do is replacing the CCFL lamp. 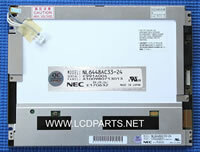 We also have pre-installed wire harness backlight lamp available for Laptop screen. 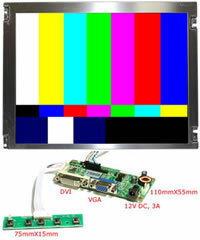 Description This is our newest generation of CCFL; it doesn't just produce a higher brightness and contrast, it is also made by precise precision Color match. So after the backlight replacement, your screen should look like it as before accept brighter. 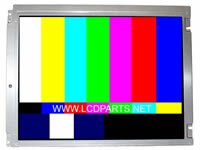 However, if you have a poor quality CCFL installed, it may cause a greenish, bluish or reddish hue. This repair kit comes with 6” of Conductive Aluminum Foil, 12” of Hi Temp Tape, two silicon end caps, two heat shrinking tubes and 6” of wire solder. This repair kit ($7.5) is a MUST have kit if you are replacing CCFL Lamps on your Laptop/ Notebook Screen. This aluminum foil conductive tape is used to meet a variety of EMI/RFI shielding applications. 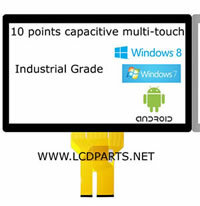 and follow our simply procedure to locate a CCFL backlight Lamp click here.